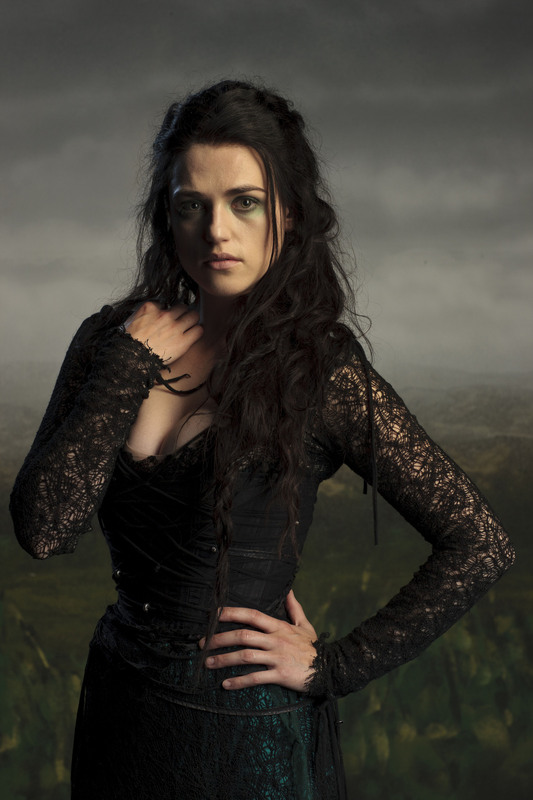 Morgana - "Merlin" season 4. . HD Wallpaper and background images in the Katie McGrath club tagged: katie mcgrath morgana merlin. This Katie McGrath photo might contain kotak kot, peti kot, berpakaian seorang, guaman, seluar guaman, pantsuit, orang baik berpakaian sut, penekan seluar, pakaian luar, overclothes, and outerwear. this phito is awesome!! she's so damn hot! she looks hot when she's evil! and I adore the dress!!! Great photo-I WANT THAT DRESS! :)) I also think she's rocking the green eye shadow!